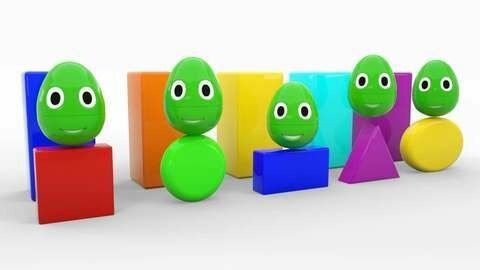 In this 3D cartoon for kids, learn colors and shapes with surprise eggs! Watch the eggs mash their way to new shapes and colors. Sing along to the popular preschool rhyme, ‘Old MacDonald Had A Farm’ in this enjoyable kids cartoon. More fun children’s videos are available to watch for free at SeeZisKids.com.